I am back with some love-day projects! 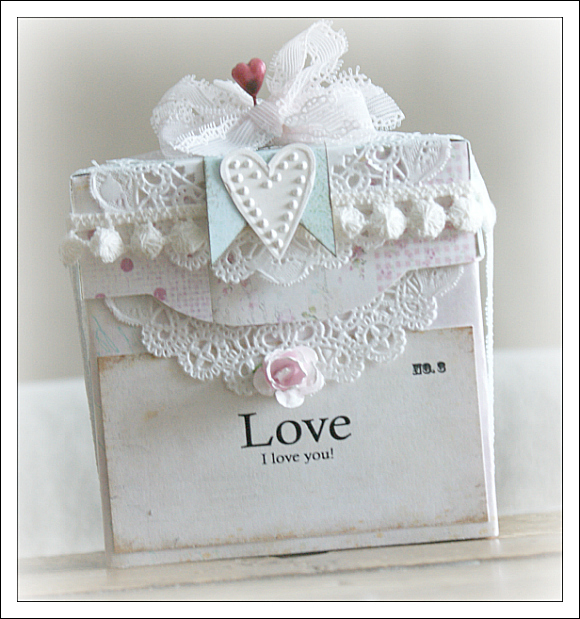 This time, I wanted to create a card and a box that was truly shabby chic. 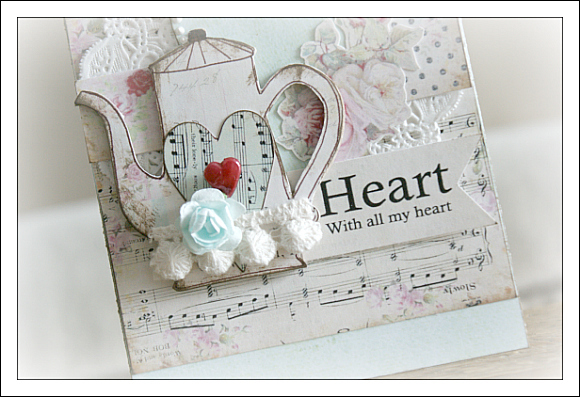 I had purchased these lovely prints from an uber-talented card maker and digi-extraordinaire Beatriz Jennings. If you have not seen her work, you simply must check it out! Her creations are so very beautiful and inspirational. And her Etsy shop is full of yummy goodies! I've used two of her designs on these projects. The Bella Rose collage sheet, and the Always Flashcards collage sheet. They are so easy to use! 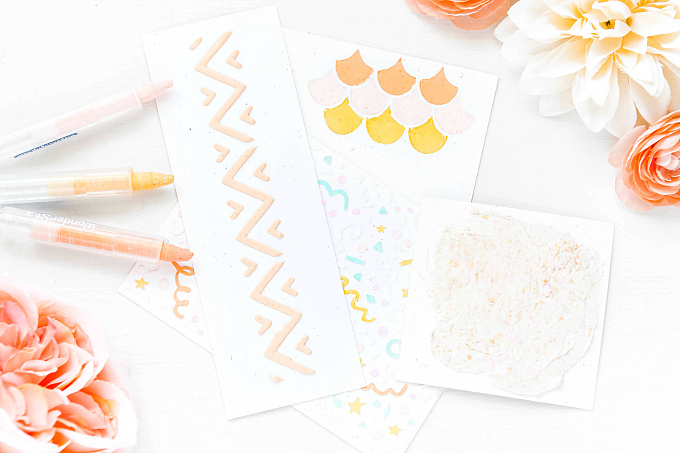 Once you purchase them from her Etsy shop, you simply open the file and print it on cardstock. What could be easier than that? 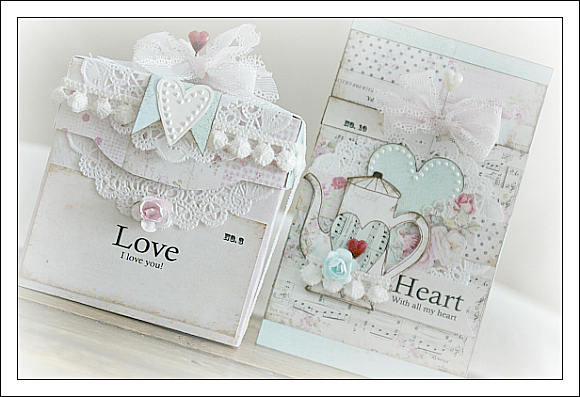 I've also created a little tea box to go along with this card. 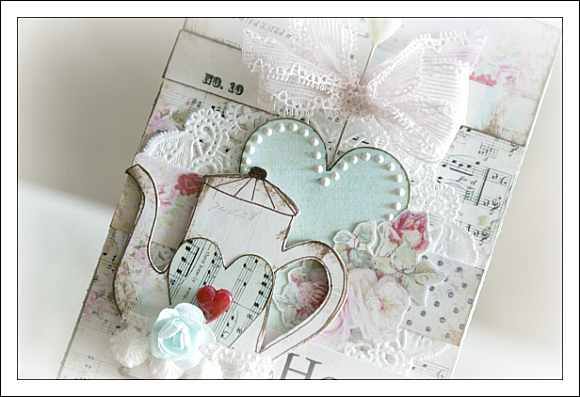 I actually re-purposed an old Tetley tea box, by covering it with some of the pretty papers from B's Shop. 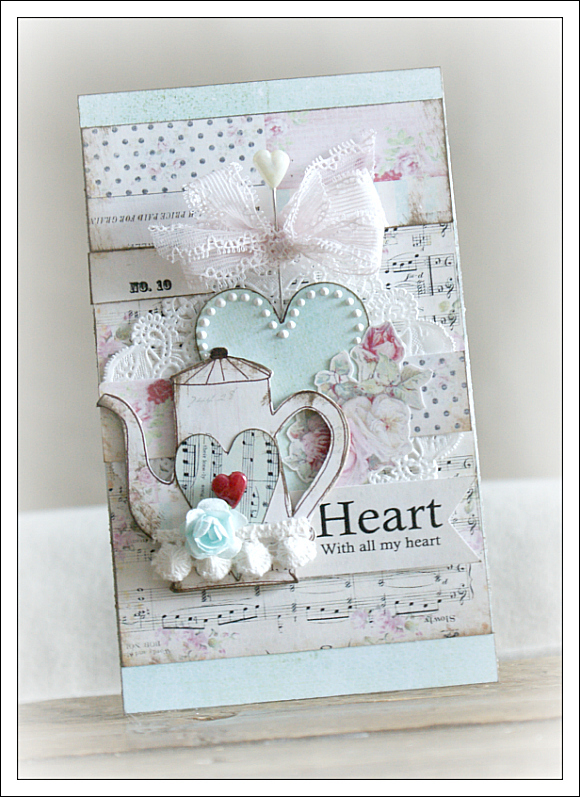 I used my brand new Tim Holtz embossing folder to create the little embossed heart, and then I added some white liquid pearls to the outline. Now to find some treats to fill this little box with...Maybe a trip to the candy store is in order? Such a beautiful set! 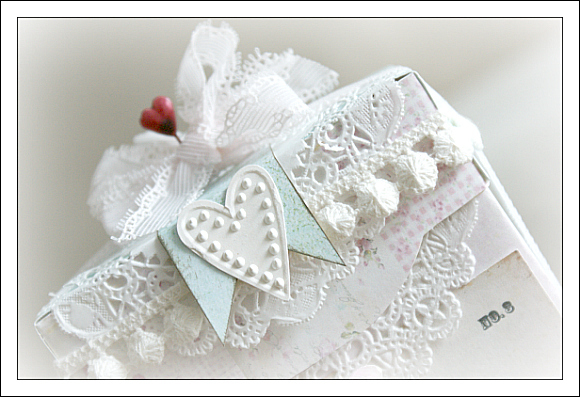 The lacy bow is so pretty. So beautiful! What program do you use to soften around your pictures? I love the look! Thanks! Wow.....what a beautiful blog I stumbled upon! Thanks for sharing. Wow...what a beautiful blog I stumbled upon! Thanks for sharing! 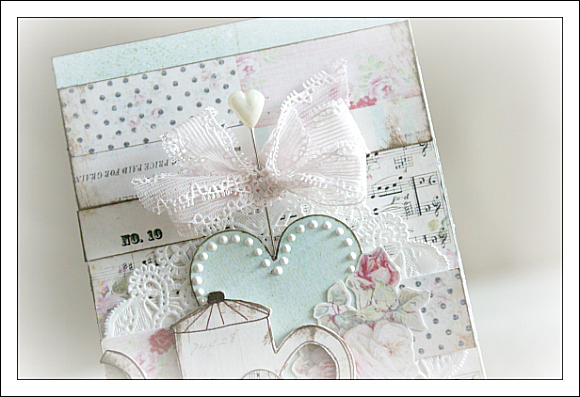 Wow...what a beautiful blog! Just found you through a 2Pea's email...So glad I read that one. Thanks for sharing your work....it's just beautiful. 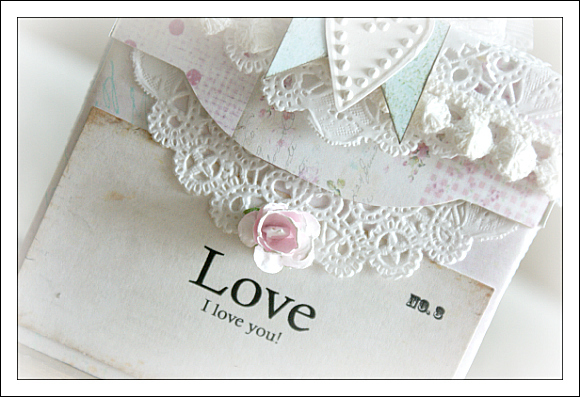 I just stumbled across your blog via Bety's blog(Iralimija)..spent the better part of an hour pouring over your gorgeous images and creations. I just had to become a follower!